construction company brought from us had been loaded into containers, are one the way to Kigali site. 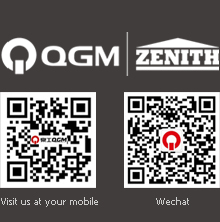 After investigation in local market, also visiting several of QGM plants in Kenya and Uganda etc., the client becomed satisfied with QGM machines. Especially after hearing that QGM has one brach office in Kampala, Uganda with technician service & spare parts workshop to serve the clients in East Africa, the client made the final decision & signed contract immediately. предыдущий：2 sets of QT6 sucessfully arrived in Ethiopia.